Introverted on the Internet | The Circle is Open. Renowned psychologist Carl Jung posited his theory of temperament in Psychological Types in 1922. This text forms the basis of the now common division between introversion and extraversion. Extroverts being people whose communication is directed outward, they are comfortable in groups and crave social contact. Introverts, their polar opposites, like to spend time alone in quiet thought. In groups extroverts are the dominant ones, they occupy the alpha roles and more often than not they will be the leaders, while introverts follow quietly. Or so our perception has been shaped. While in Ancient times thinkers and philosophers where highly regarded, it seems that times have indeed changed and today most of us see our ideal selves (and more importantly, companies see ideal employees) as extroverts. This urges many to push themselves to be part of social situations they would normally avoid or to work in groups, when they know they achieve better results working individually [More information on Jung’s theory]. Today, Jung’s theory is the basis of many discussions that followed but it is fair to say it is deterministic. Subsequent studies have shown that people are rarely either one or the other but rather fall somewhere on the scale of in-between. 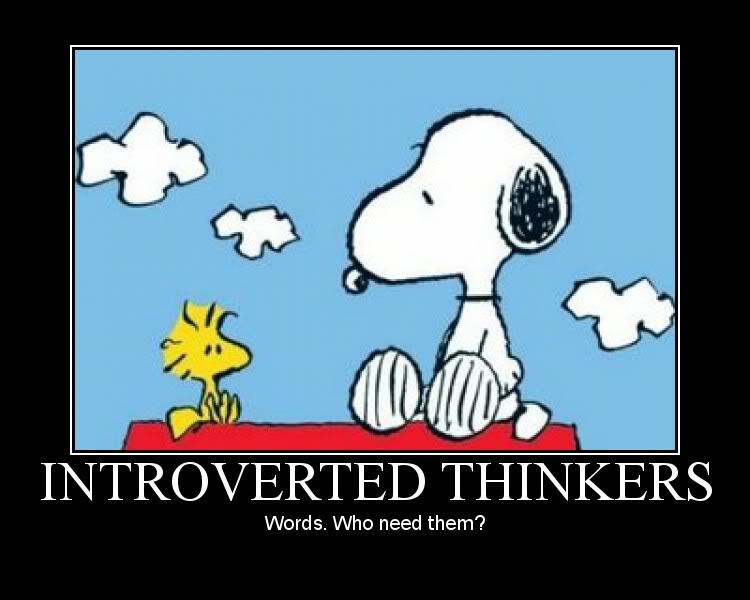 In her book Quiet: The Power of Introverts in a World That Can’t Stop Talking author Susan Cain illustrates just how much influence, authority and control introverts can have. 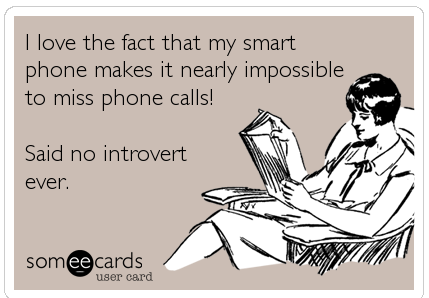 Indeed, the book strives to change our (mostly negative) understanding of introverts. The Internet has provided the introverted individual to meet the demands of companies and universities for group work and collaboration but at the same time gives them the opportunity to work in a way that suits their introverted selves. A quick glance at social media profiles gives the impression that just about everyone on there is an extrovert. It is indeed much easier to post a clever comment or a happy birthday wish to someone’s wall than it is to actually speak up and shake their hand. Does the Internet therefore offer a type of safe haven for all the introverts out there or does it only contribute to contemporary society’s perception of the extrovert as the ideal? This entry was tagged carl jung, extrovert, introvert, quiet, social media, susan cain, the internet.